From the Super Retina OLED screen and Face ID to Animoji and the utter lack of a Home button, there’s a lot that’s new in the iPhone X. But all that newness also brings a new way to use the iPhone, and some of the biggest changes will take some getting used to. (Hint: there’s a lot more swiping and less pressing.) In fact, some of these changes are guaranteed to throw you for a loop until you get accustomed to using Apple’s new flagship. By default, the iPhone X doesn’t show how much battery life you have left as a percentage. Instead, you just see the icon and how full (or not) it is. If you don’t want to guess how much juice you have, just swipe down from the top right of the screen to reveal the Control Center. The percentage appears only when you swipe down, and it disappears when you swipe back up. 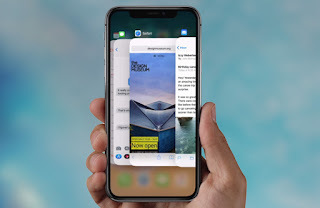 Because there’s no home button on the iPhone X, you can no longer open the App Switcher by double-pressing that button. Instead, you need to swipe up from the bottom of the screen, and then hold your finger on the display briefly to show your open apps. You can then swipe through apps just as you normally would. With Touch ID now going the way of the dodo, Face ID is the quickest way to unlock your phone securely. 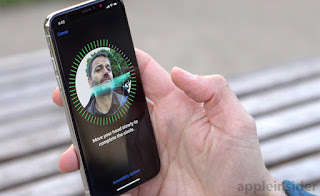 Although we’ve found Face ID to be a bit slower than Touch ID, you don’t have to wait around for the iPhone X to show you that the screen has unlocked. 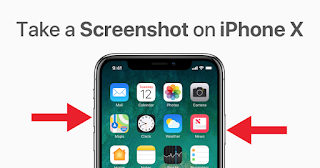 Just start swiping up on the screen even before you see the visual confirmation, and you’ll get to the home screen faster. 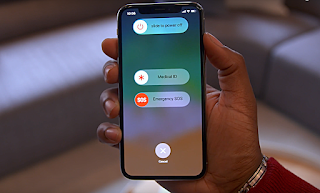 If you prefer to wake the phone yourself, we suggest tapping on the display rather than clicking on the iPhone X’s side button; it will make unlocking the phone with Face ID feel more seamless. 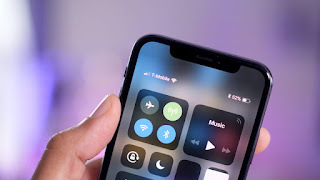 You’ll have to break your habit of swiping up from the bottom of the screen to turn on the flashlight, turn on Wi-Fi, brighten the screen and tweak other settings. 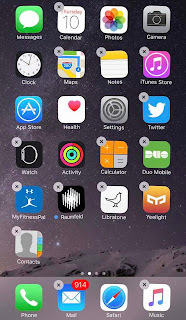 You need to swipe down from the top right of the display, whether you’re in portrait or landscape mode. Now that the iPhone X uses the side button to launch Siri, you can’t press and hold that button to turn off the phone. The new way is to press and hold the side button and either the top or bottom volume buttons. To force restart, you need to press and hold the side button plus the top and bottom volume buttons at the same time. If you want to use Apple Pay from your iPhone X, it’s very easy: Just double-press the side key to activate the feature. 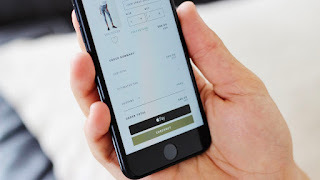 From there, you’ll authenticate that payment by using Face ID. 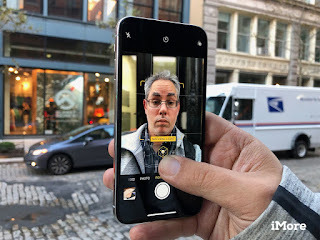 Thanks to the TrueDepth camera on the front, the iPhone X lets you take on the personality of one of several animated characters, like an alien, a unicorn and even poo. The camera can capture more than 50 facial movements in short, 10-second videos you can easily share. 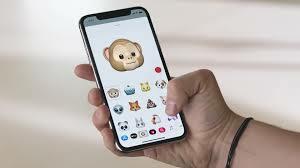 To get started, fire up the Messages app and press the Animoji button, which is the second one in from the left. Then, you can swipe up and down to select your character. From there, hit the red circle button to start recording your voice and movements. To share your Animoji, hit the blue up-arrow icon. One of the biggest new features with the iPhone X is that the TrueDepth camera takes Portrait Mode photos, which blur out the background with a bokeh effect to make your selfie pop. And it’s a cinch to get started: Just swipe to the left from Photo to Portrait, and frame your shot. Once you’ve snapped your selfie, tap on the Portrait Lighting effect menu, and swipe to the left to choose from multiple effects, including Studio Light and Contour. If you want to organize your Home Screens on the iPhone X and move apps from one screen to the next, you get started in the same way. Just long press (lightly) on an icon, then slide your finger to where you want to place the app. When you want to finish, you can’t press the Home Button like you used to to finalize; now you press the Done button in the upper right hand corner.